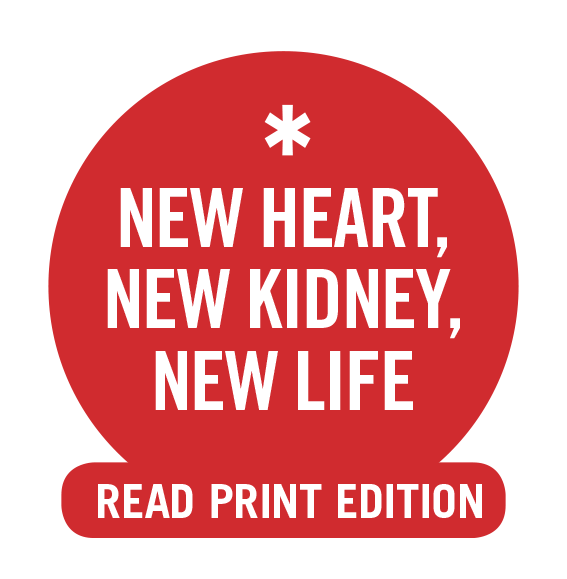 There’s more to know about the topics highlighted in our print magazine. Click away in any order you choose for fresh insights into your health and news about healthcare innovations in our community. You know that what you eat affects your health. 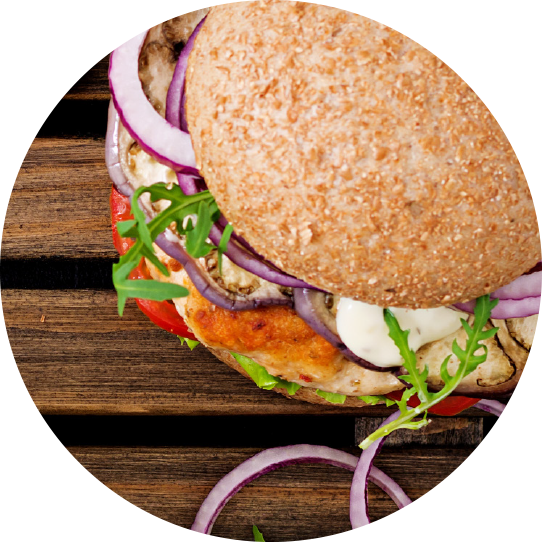 But do you know exactly how various foods act on the cardiovascular system? 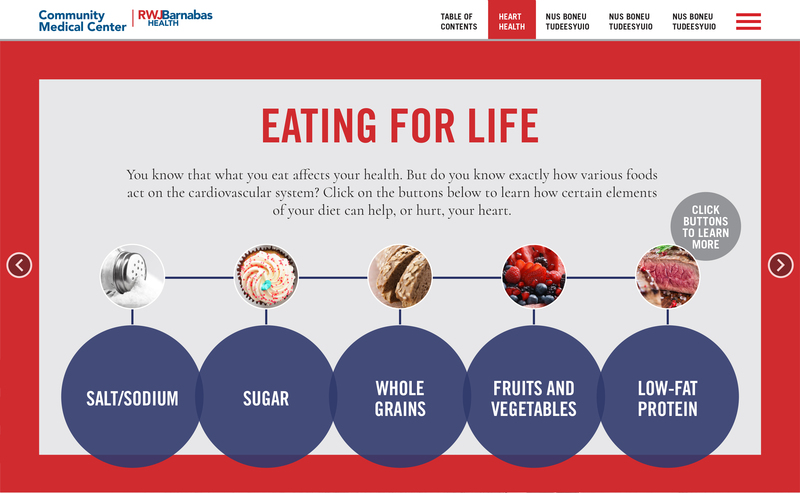 Click on the buttons below to learn how certain elements of your diet can help, or hurt, your heart. 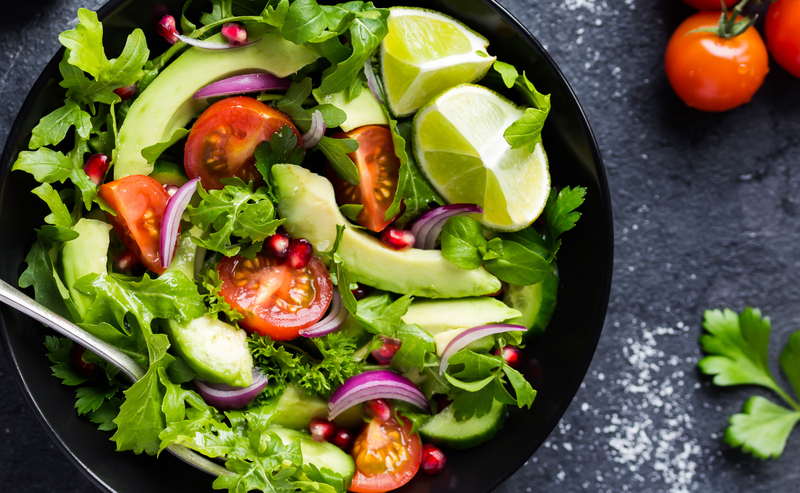 Naturally low in fat, calories and sodium, fruits and vegetables help you feel more full and reduce the temptation to overeat. 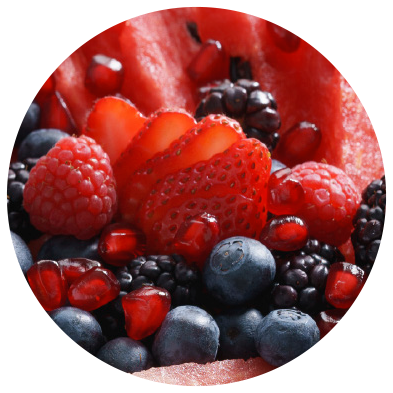 They also contain fiber, vitamins, antioxidants and minerals that may help prevent cardiovascular disease. 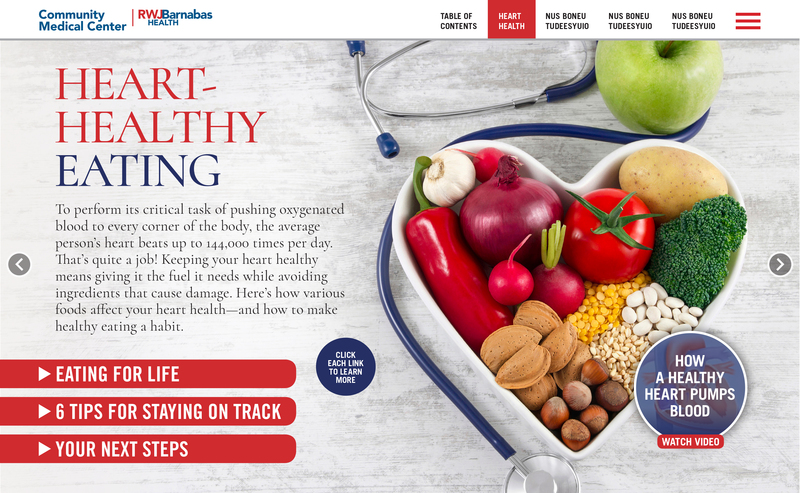 The American Heart Association recommends eating across the “five main color groups:” Red & Pink (beets, berries, tomatoes); Blue & Purple (berries, eggplant, grapes, prunes); Yellow & Orange (squash, carrots, sweet potatoes, oranges); White & Brown (pears, cauliflower, garlic, shallots); and Green (artichokes, spinach, kale, zucchini). 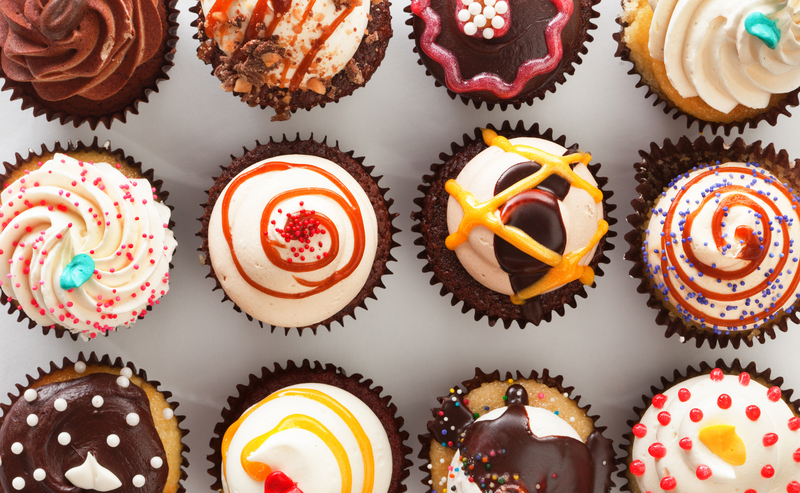 If you’re hungry, you may make unhealthy choices. It’s even harder to make good choices when you’re busy and on the run. 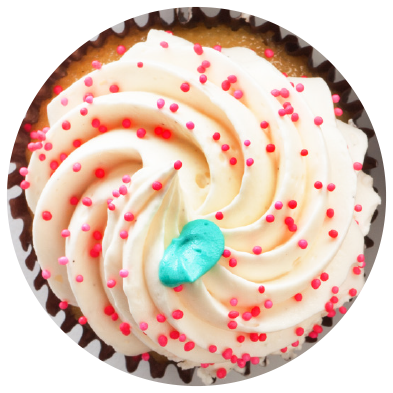 Large amounts of sugar contribute to atherosclerosis (hardening of the arteries). Naturally occurring sugars are found in fruits and milk; refined, or processed, sugars are found in cookies, sugar, processed foods and more. 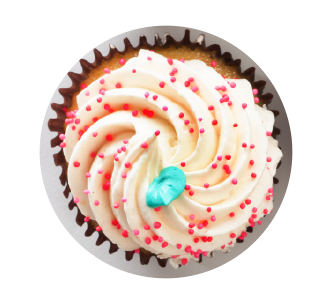 The American Heart Association recommends that men have no more than nine teaspoons of processed sugar daily; for women, six teaspoons. 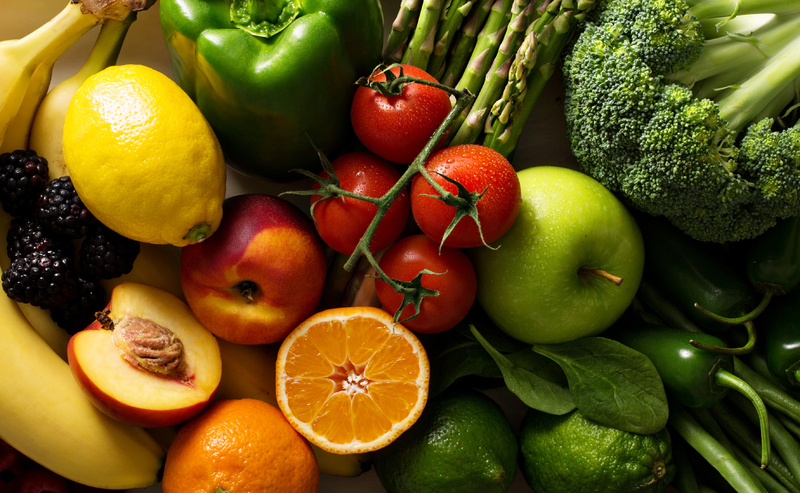 A healthy diet is one of the best ways to fight cardiovascular disease. Moreover, when you eat mostly nutritious (and delicious!) foods, your mood will improve and your energy level will soar. 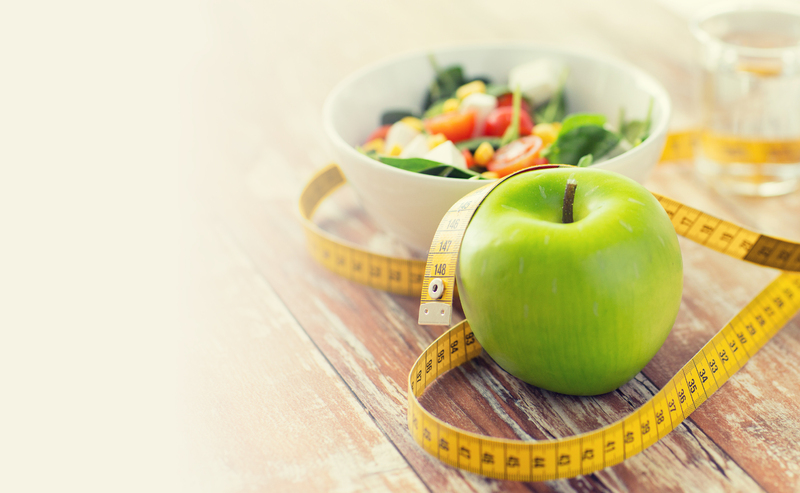 How can you break old, unhealthy eating habits and get all of those great benefits? 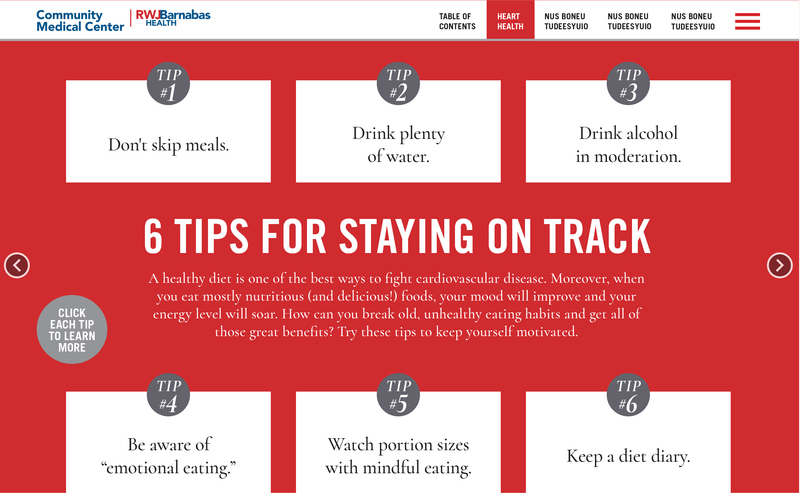 Try these tips to keep yourself motivated. 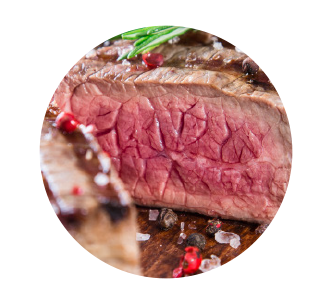 Meats are a major source of dietary fat and cholesterol, which is linked to coronary heart disease. 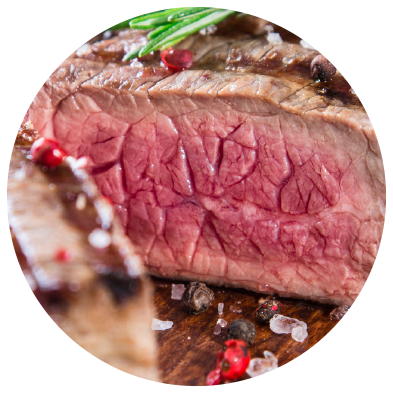 Low-fat sources of protein include lean meats without skin, skim milk, fish and beans, including soy. 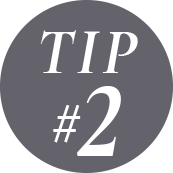 Choose main dishes that combine protein and vegetables, such as soups and stir-fries. And watch portion sizes: 2 to 3 ounces of meat (about the size of your palm) is about right. Eat slowly and enjoy the company at the table. Be aware of portion sizes: A portion of meat should be about the size of a woman’s palm; stuffing and potato dishes should be about the size of your fist. Cut back on second helpings, eat plenty of vegetables and salad, and drink plenty of water. 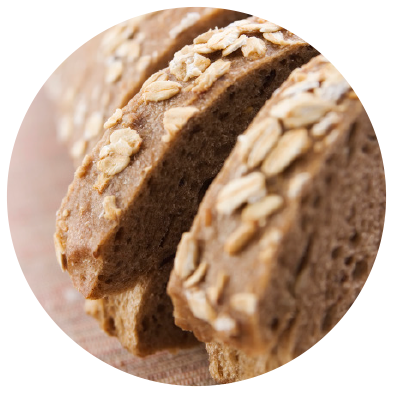 Refined grains are stripped of grain parts that include important nutrients such as B-vitamins, iron and dietary fiber. 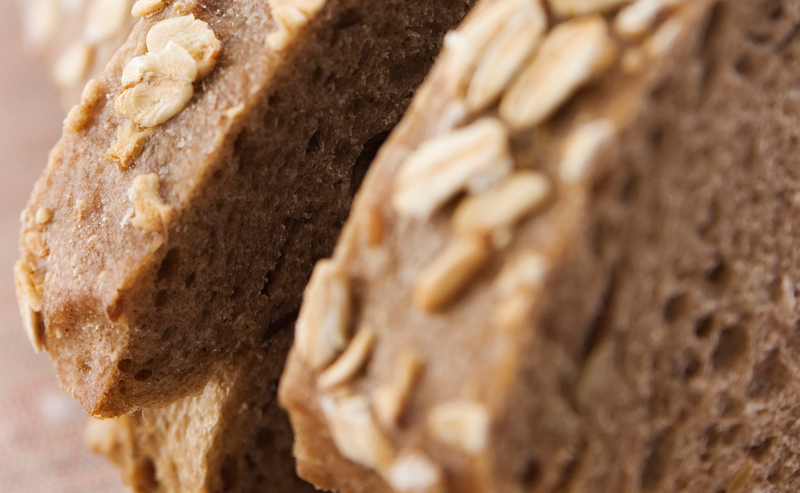 Studies indicate that high-fiber foods reduce blood cholesterol levels as well as blood pressure. They also make you feel full faster. 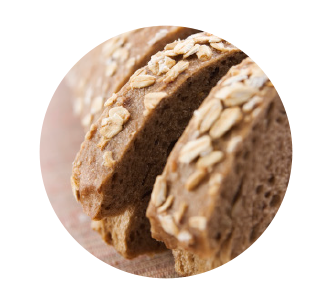 Look for foods labeled “whole grain” and boost your consumption of grains like brown rice, oats, bulgur, buckwheat, freekeh, couscous and quinoa. Writing foods down helps raise your awareness of what you’re actually consuming every day. Most of us eat quickly because we’re busy and a diary helps us to slow down and enjoy our food. It also helps us to understand what our hunger triggers are, and to understand the difference between emotional eating and real hunger. 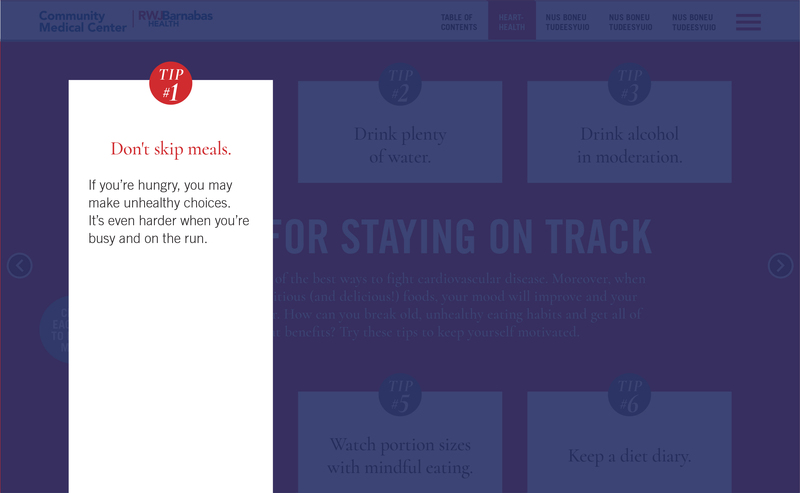 Watch portion sizes with mindful eating. 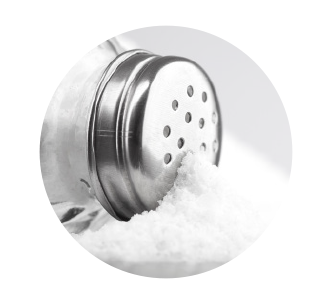 Sodium, a mineral, is a component of salt. It occurs naturally in many foods, but most Americans get too much. 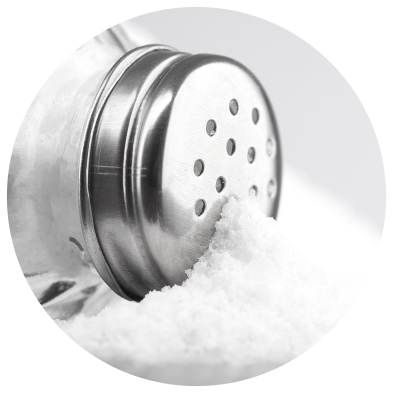 Excess salt holds excess fluid in the body, which raises blood pressure, leading to an increased risk of heart attack, stroke and kidney disease. 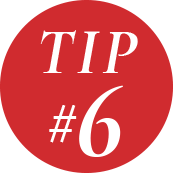 More than 70 percent of the sodium Americans consume comes from packaged and prepared foods, so look for labels that specify low or reduced sodium and cook with fresh ingredients whenever possible. 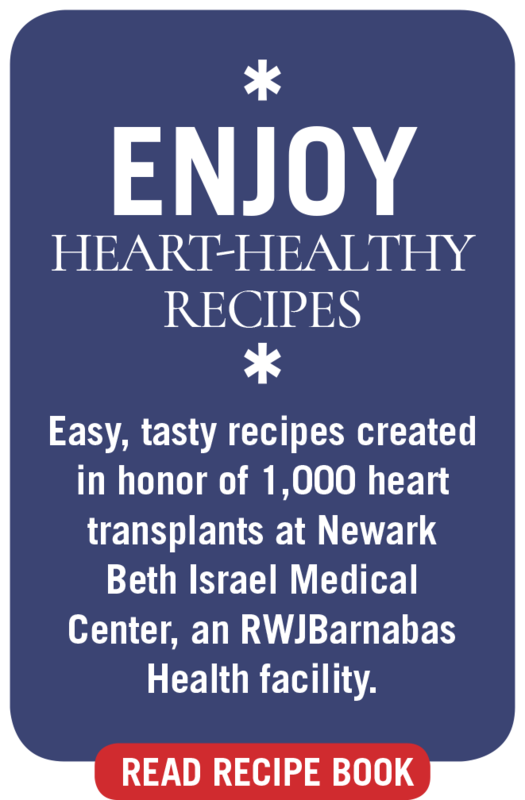 Whether you're looking for tips and ideas about keeping your heart healthy, or you need treatment and care for a heart condition, specialists at RWJBarnabas Health can help. 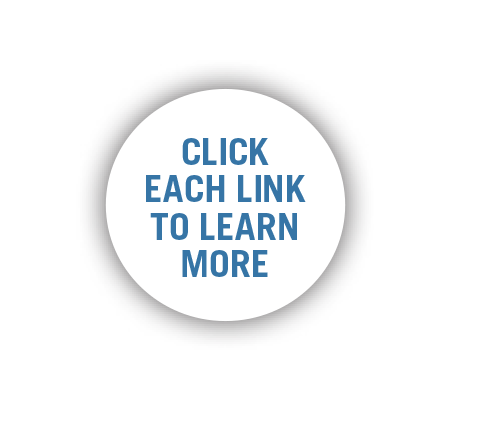 Click any of the links on this page to learn more. Alcoholic beverages add calories and can impede your ability to burn fat when exercising. Moderation is key: Two glasses of wine (preferably red) for men, and one for women. Have spritzers to extend this by one or two drinks. Wanting something to eat can simply mean you need fluid. It can be a symptom of dehydration, not hunger. Water is the best choice. To perform its critical task of pushing oxygenated blood to every corner of the body, the average person’s heart beats up to 144,000 times per day. That’s quite a job! 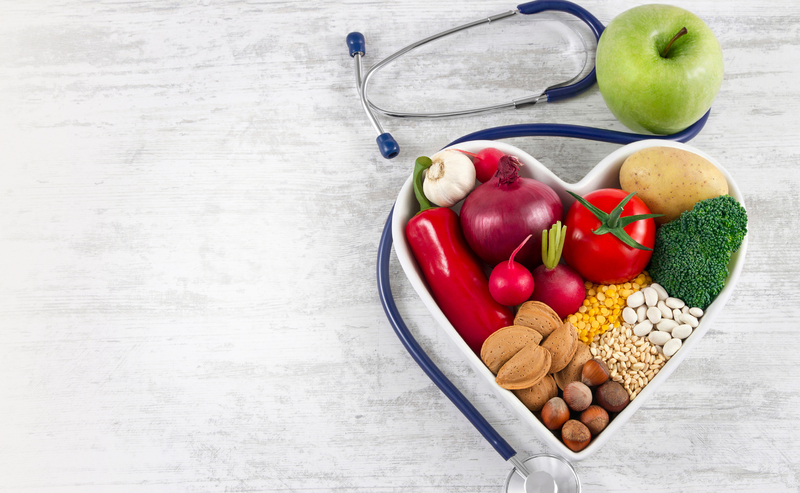 Keeping your heart healthy means giving it the fuel it needs while avoiding ingredients that cause damage. 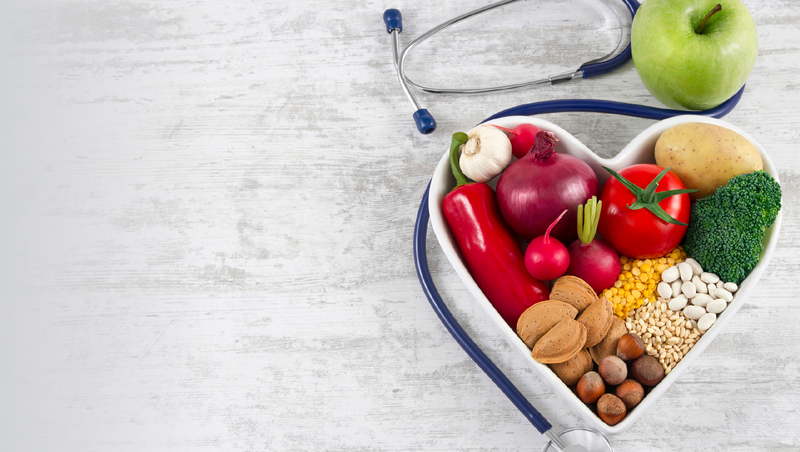 Here’s how various foods affect your heart health—and how to make healthy eating a habit. If you feel lonely or depressed, don’t try to make yourself feel better with food. Instead, listen to music, call a friend or get a massage, manicure or facial. And don’t forget the power of exercise. It really is a mood enhancer. 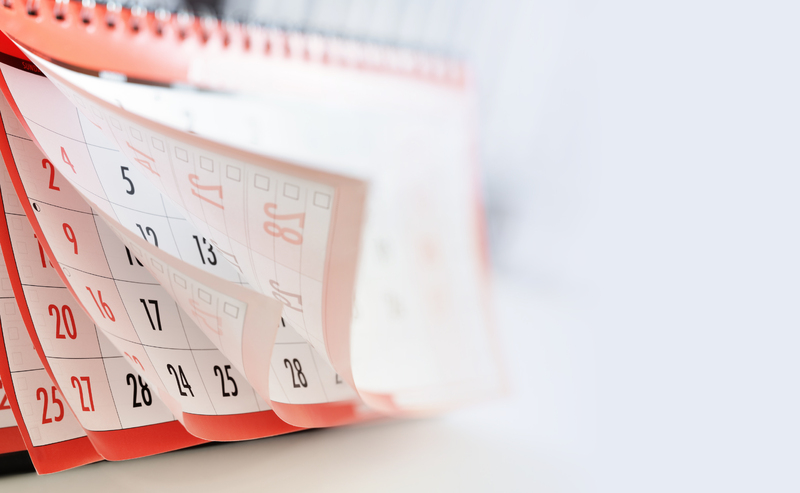 The average time it takes to schedule an in-person, new patient physician appointment in major metropolitan areas is 24 days. 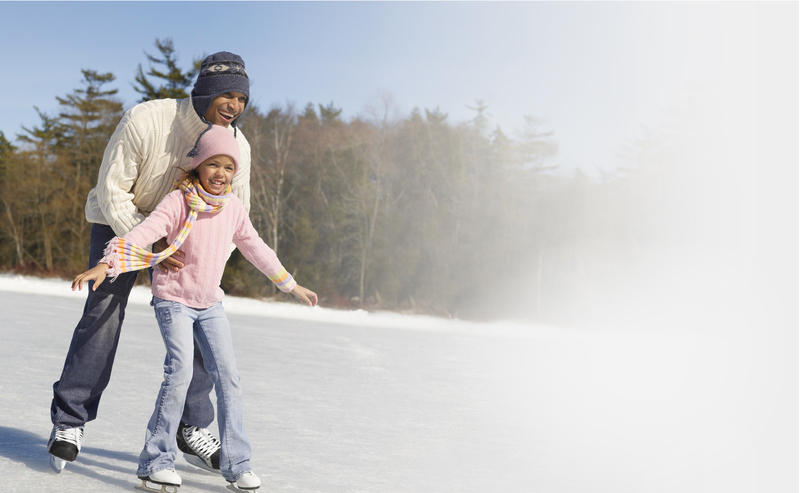 * With RWJBH TeleMed, appointments are available any time of day or night, 365 days a year. All RWJBarnabas Health TeleMed doctors are U.S. board-certified, licensed, credentialed doctors who average 15 years in urgent, emergency or primary care medicine, and who have been trained in telehealth. You can enroll by downloading the iOS or Android mobile app (search “RWJBarnabas Health TeleMed”), or by visiting the website. 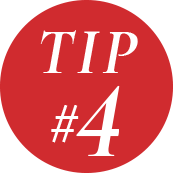 For RWJBarnabas Health TeleMed visits, a charge of $45 will be billed to the credit card on file at the time of the service. 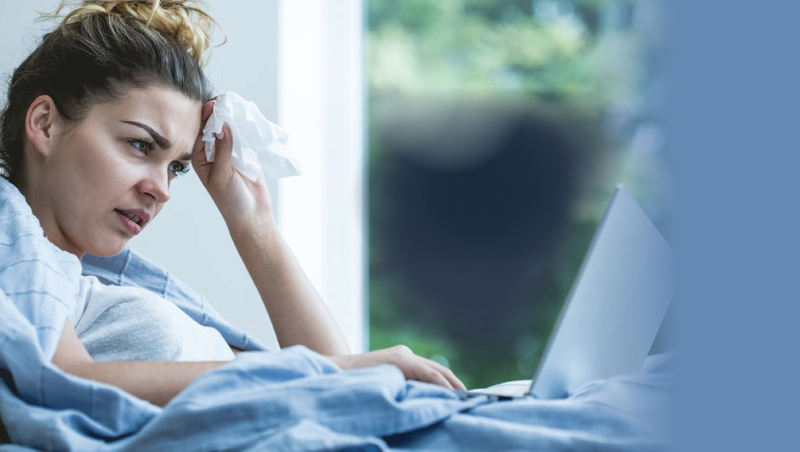 Telemedicine can be used to treat a range of common health complaints, such as colds and flu, earache, minor rashes, abdominal pain, allergies, pink eye, joint pain and muscle strains. Telemedicine should not be used for medical emergencies, including chest pain or pressure; uncontrolled bleeding; coughing or vomiting blood; difficulty breathing; sudden dizziness, weakness, change in vision, slurred speech, numbness or other neurological changes. In those cases, call 911 or go to the emergency department instead. 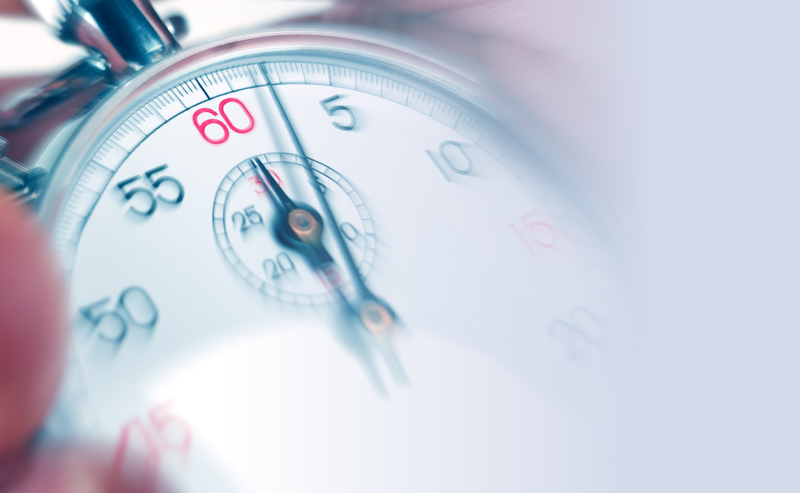 The average total time for an in-person doctor visit is 121 minutes, including travel time. 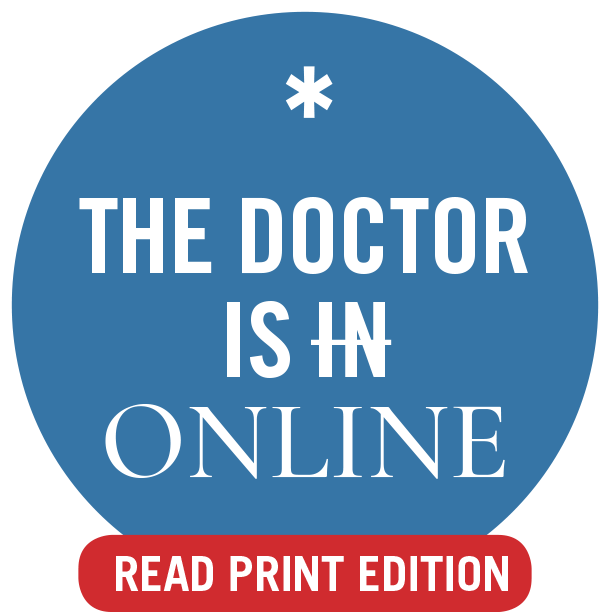 Of the 121 minutes, only 20 minutes is spent in physician contact. * Telemedicine cuts out that travel and waiting time. 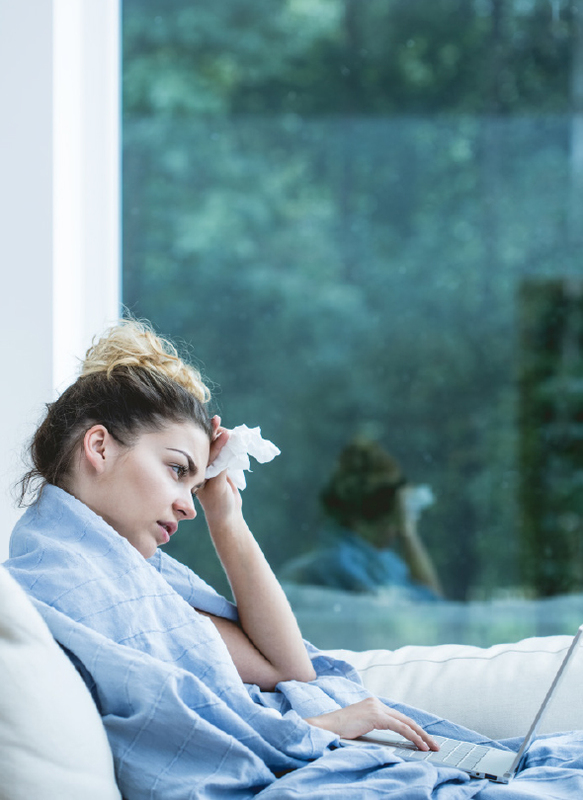 While RWJBarnabas Health TeleMed doesn’t replace your relationship with your primary care doctor, it’s a convenient way to access high-quality care at home or while away, at any time of day or night 365 days a year, and at a lower cost than a visit to an urgent care center or emergency department. 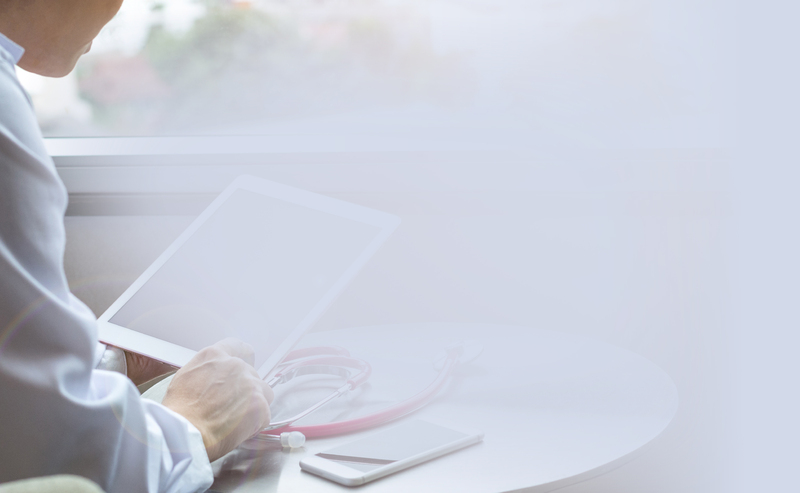 Virtual doctor visits, on demand: With RWJBarnabas Health TeleMed, a doctor is available via videoconference 24/7/365 through your personal devices. Using a smartphone, tablet, laptop or desktop computer, you can log in, view profiles of the doctors who are “on call” and connect to the doctor of your choice via video. The doctor can diagnose, treat and prescribe medication as appropriate. 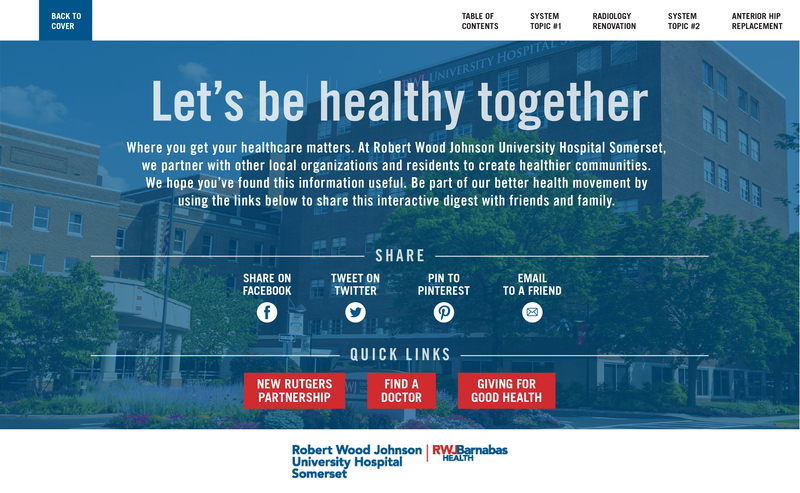 RWJBarnabas Health’s new TeleMed service is a private, secure tool that allows people to get medical help via video, using their smartphone, tablet or computer—when they need it, wherever they are. When can you use this service? Here’s what you need to know. What Kinds of Problems Can Be Treated? 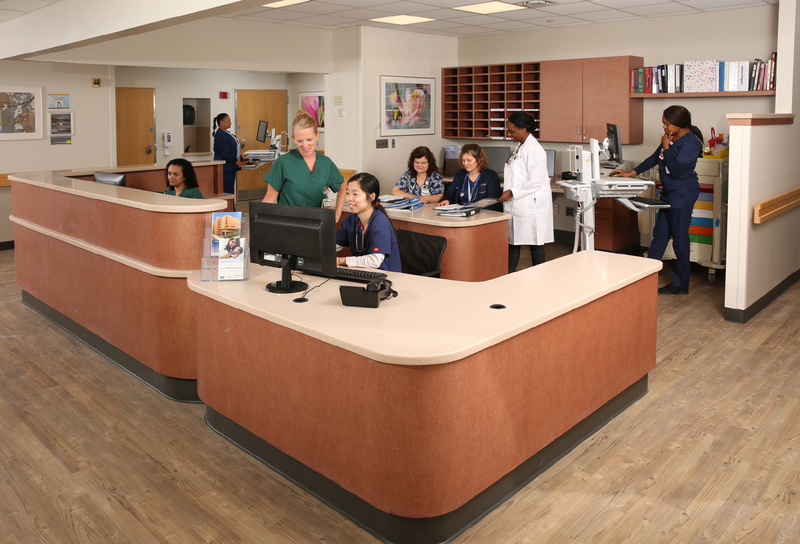 RWJBarnabas Health TeleMed offers videoconference appointments with U.S. board-certified physicians via a secure network. Appointments are fast, convenient and comply with all privacy standards. 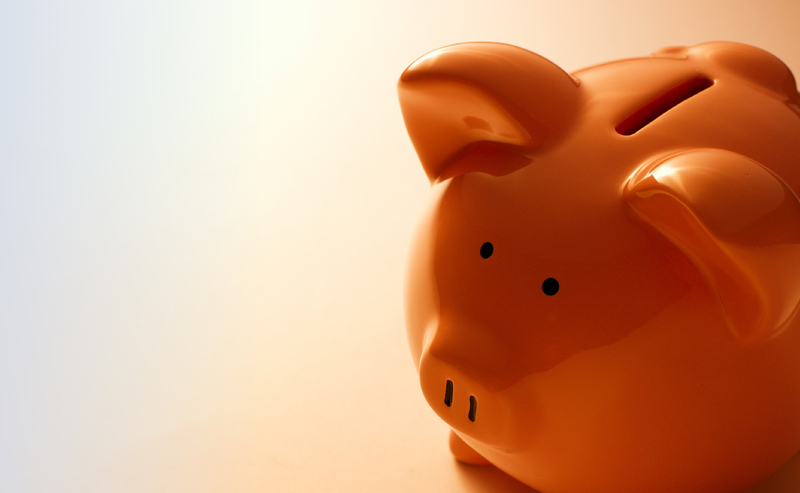 Here are some of the additional advantages for patients. Why Would I Use TeleMed? 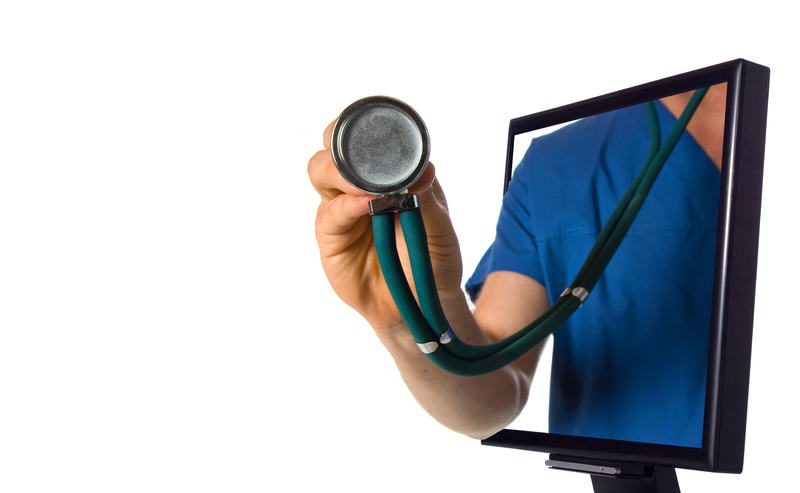 In a recent survey, 85 percent of patients said they were able to resolve their healthcare needs through video visits. 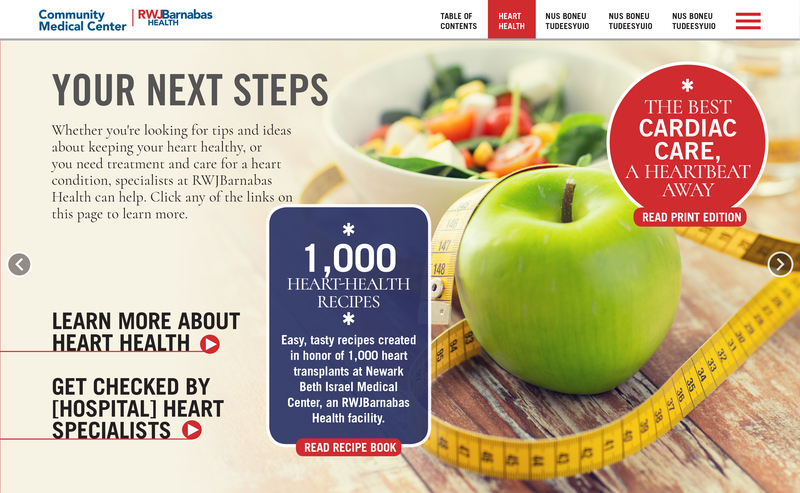 Get the scoop on getting started with RWJBarnabas Health’s TeleMed service. Best-in-class maternity care close to home. • How do you eat for peak performance? • How do you make sure to stay hydrated? • What’s your workout routine? • Do you have any advice for young athletes? Staying as well hydrated as possible is huge. You don’t want cramps during the game. I drink two 500-milliliter bottles of water as soon as I wake up, to get my metabolism going. All day I drink a ton of water and during games, as many fluids with electrolytes as possible. 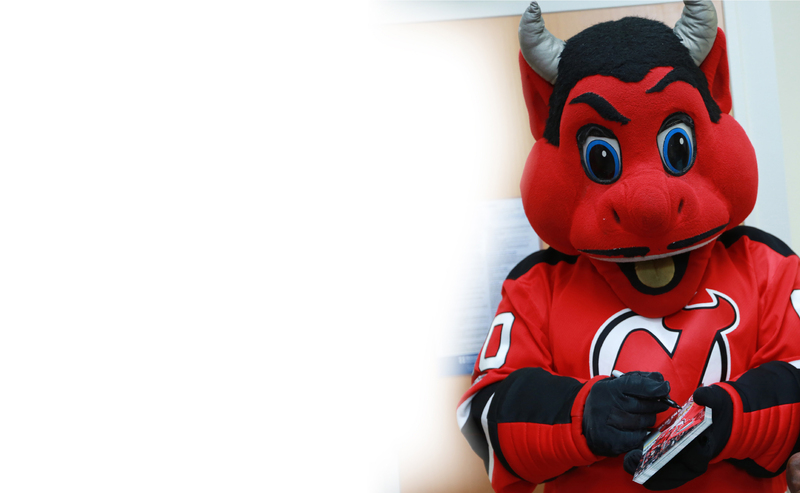 Good nutrition is essential to healthy living, so RWJBarnabas Health has teamed up with the New Jersey Devils and Jason Choate, Senior Executive Chef at Prudential Center, to provide healthy snacks at all Prudential Center events. 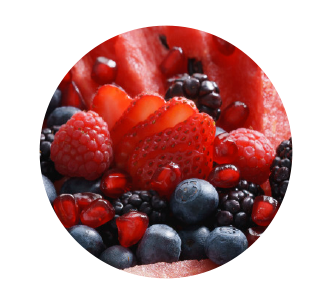 In addition, the organizations have collaborated to create these delicious, healthy recipes that are perfect for athletes, fans and families. I tend to avoid sugar. With the calories we expend, it’s very important for me to digest healthy carbohydrates and lots of protein. I keep my diet pretty simple—protein, carbohydrates and then as much roughage as I can—a side dish like asparagus or sweet potatoes, and always a salad with dinner. Gluten-free pasta, rice and quinoa—those are really good for people like me who expend a lot of energy. I stick to snacks that are low in carbohydrates and high in fat, like nuts, or high in protein, like Greek yogurt. That kind of snack is not going to give you a big burst of energy before bedtime, so it will allow you to rest properly. My cheat foods are cheeseburgers and pizza. Maybe once a week you have yourself a night where you have those things. Certainly, you’ve got to live your life. • Cook the macaroni according to package directions. Drain and set aside. • Heat the butter in a large skillet over medium low heat. Sauté onion until fragrant and golden. • Meanwhile, bring the broth to a boil and add the squash. Cook for 5-7 minutes or until fork-tender. Drain, reserving 1/2 cup broth. • Transfer squash to the blender. Add the onions, milk, salt and reserved broth and puree until completely smooth and creamy. This should yield about 4 cups of sauce. 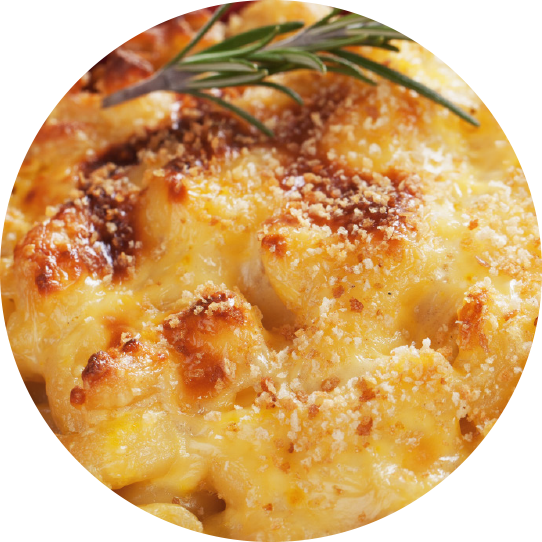 • Pour the pureed sauce over the cooked noodles and add the shredded cheese. 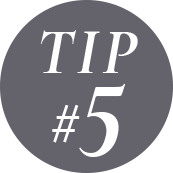 Stir to melt the cheese; add water or milk to adjust consistency as needed. Serve with parsley, salt and pepper to taste. 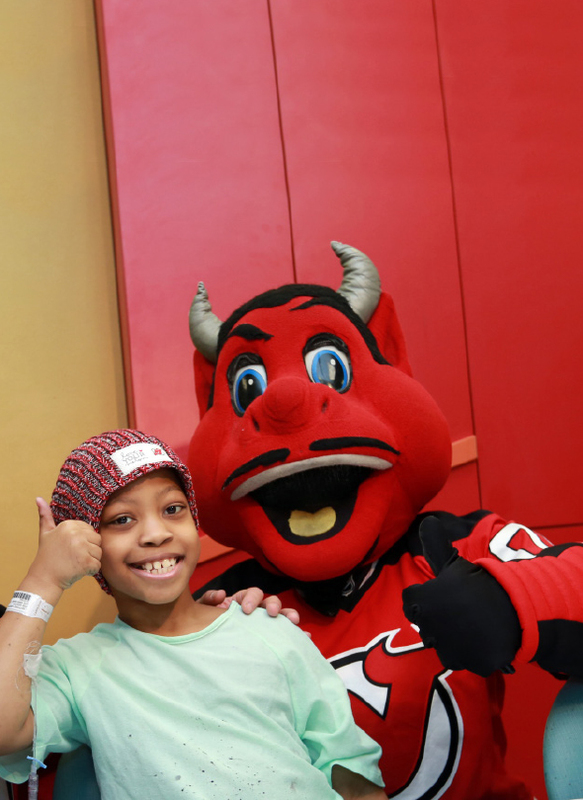 RWJBarnabas Health and the New Jersey Devils are committed to promoting the health and welfare of New Jersey communities. 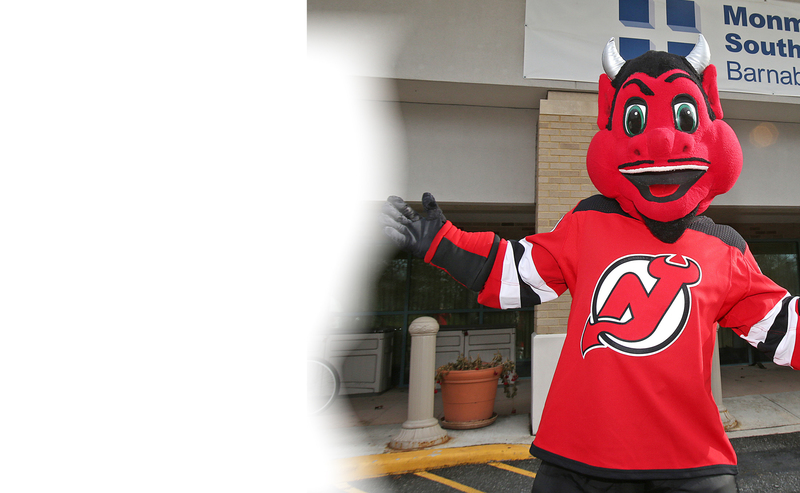 The annual Running with the Devils 5K Run and Walk raises funds for excellent and compassionate care in RWJBH hospitals. 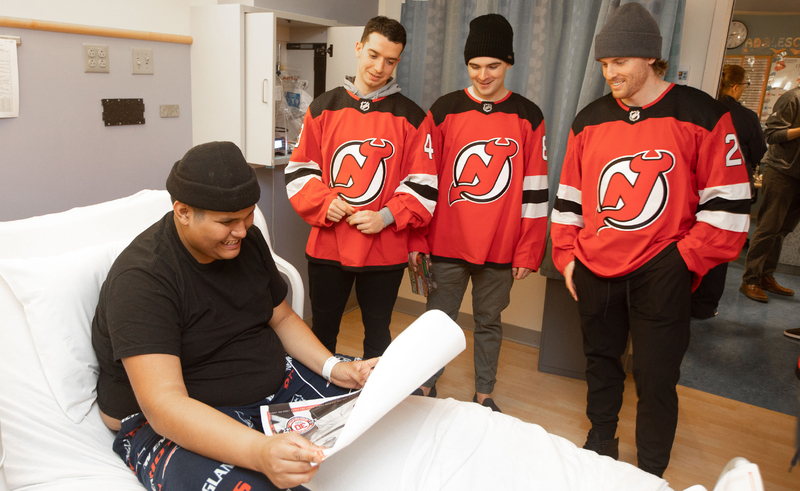 New Jersey Devils players regularly visit RWJBH facilities and bring enjoyment to patients, their families and employees alike. 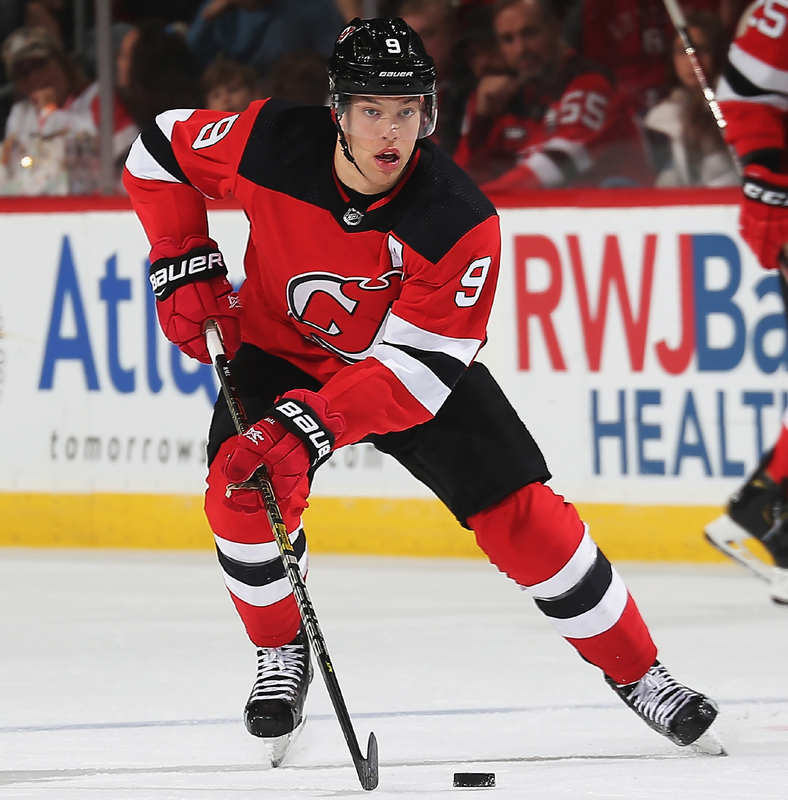 RWJBarnabas Health (RWJBH) offers education for youth hockey players that promotes optimal performance and good health while building confidence, sportsmanship and life skills. 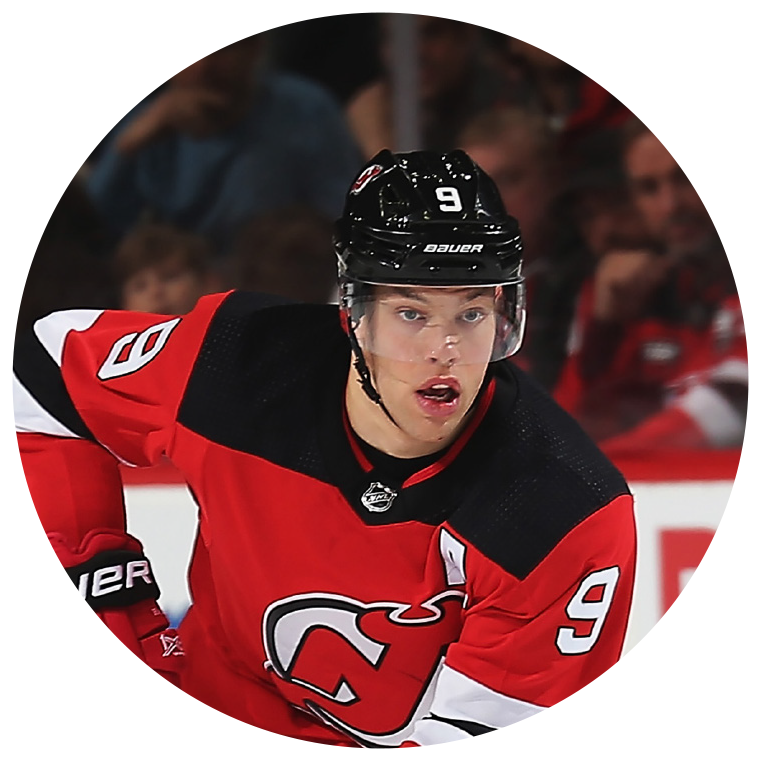 RWJBH partners with the New Jersey Devils to provide Learn to Play programs, and conducts clinics at each of the more than 30 hockey rinks affiliated with the Devils. 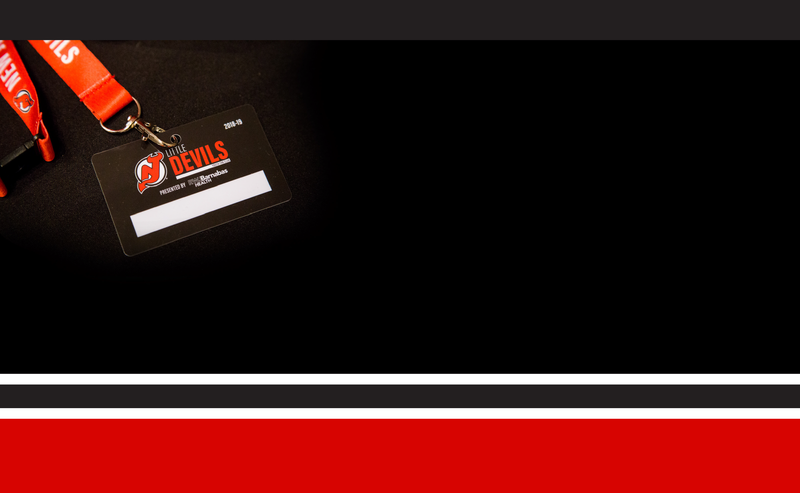 Some parents have their kids in hockey year-round. You see these kids who are amazing hockey players, but they just don’t seem to have a passion for it. I would say that you have to try out different things and have some free time. You have to really love whatever you do. The thing that you have the most passion for in life is what you’re going to be successful at. 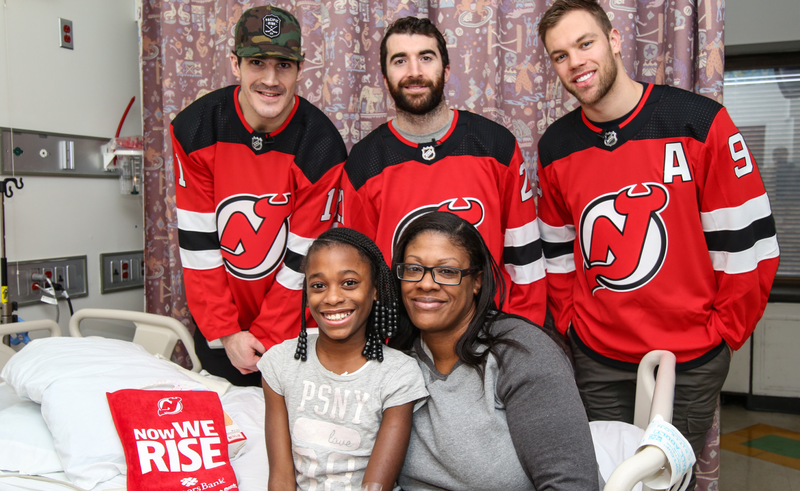 brian boyle, kyle palmieri and taylor hall spread cheer at saint barnabas medical center. 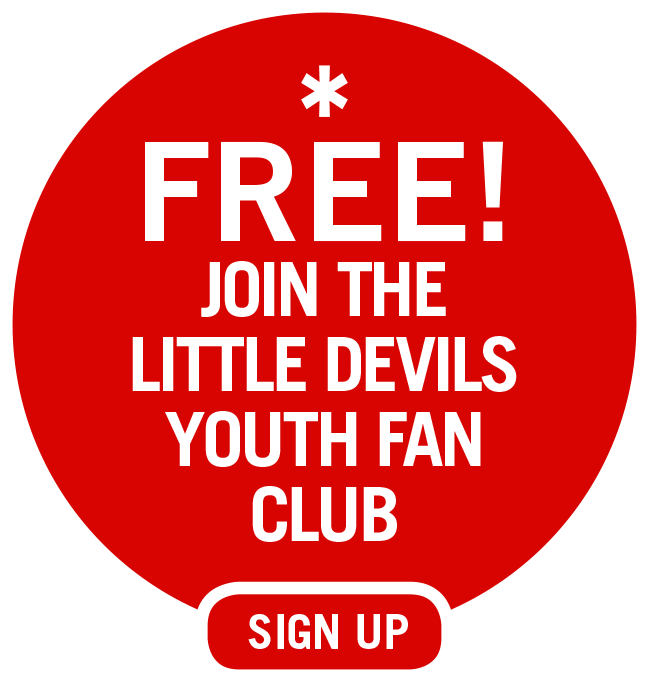 devils brett Seney, Will Butcher and Blake coleman visit a fan at rwjuh New Brunswick. How do you make sure to stay hydrated? 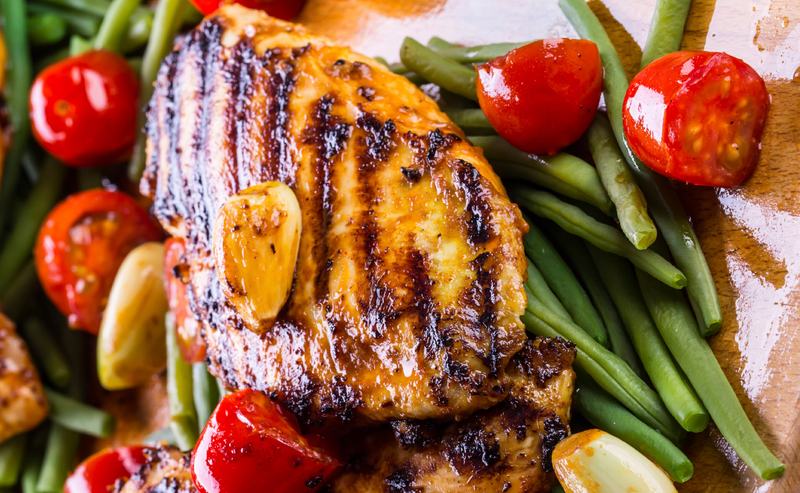 How do you eat for peak performance? 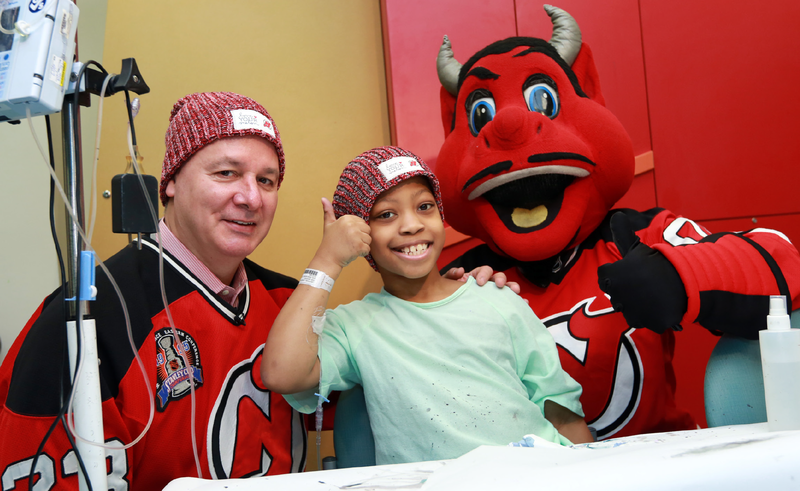 Devils alumnus Bruce driver helps bring "love Your Melon" hats to children at newark beth israel medical center. 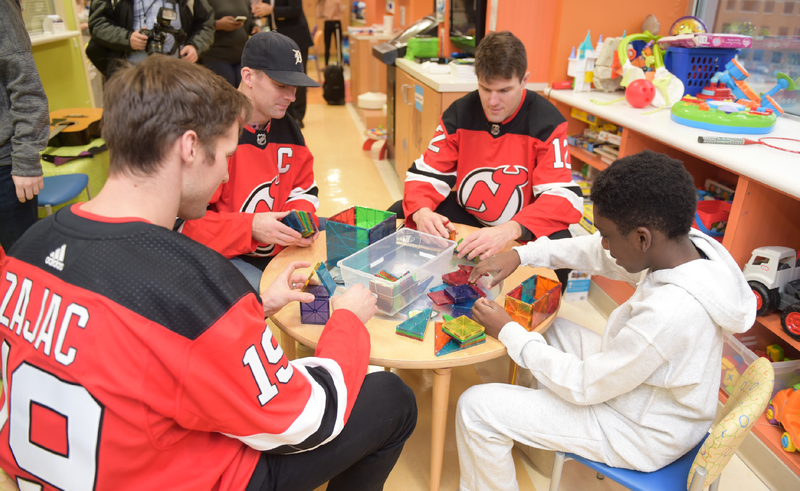 travis zajac, andy greene and ben lovejoy get into the spirit at saint barnabas medicaL center. 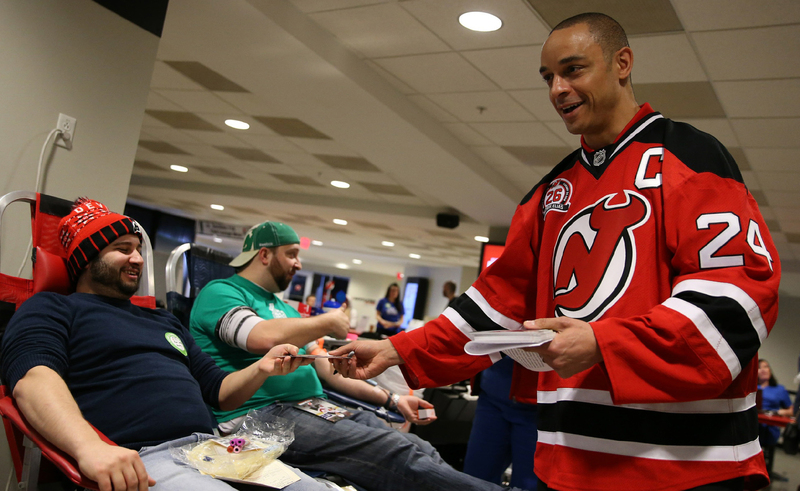 bryce salvador, devils alumnus, helps out at a blood drive sponsored by the devils and RWJBarnabas Health. During the season, I save most of my energy for games. After the season, I take a month off from physical activity to give my body a rest. Then I work out and skate three times a day, five days a week. My advice for athletes is to focus on what your weaknesses are. Some athletes might already have a very strong core, but need to work on their foot speed. Overall, don’t worry about what you’re good at—just try and correct stuff that might be hampering you a little bit. 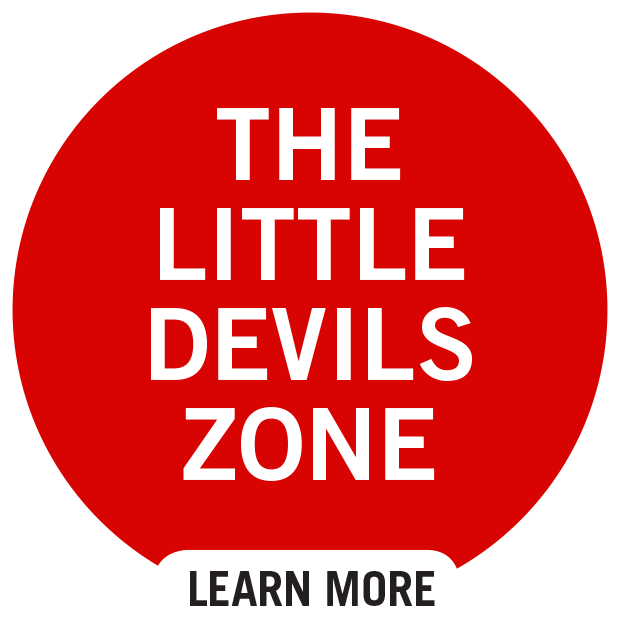 Two powerhouse organizations work together to promote health, fitness and fun throughout New Jersey. Parents-to-be are guided on a tour through the unit. The tour includes the labor and delivery unit, the postpartum unit and the newborn nursery. Each private room has a lounge chair for overnight guests, Wi-Fi access, remote control color TV and a private bathroom. 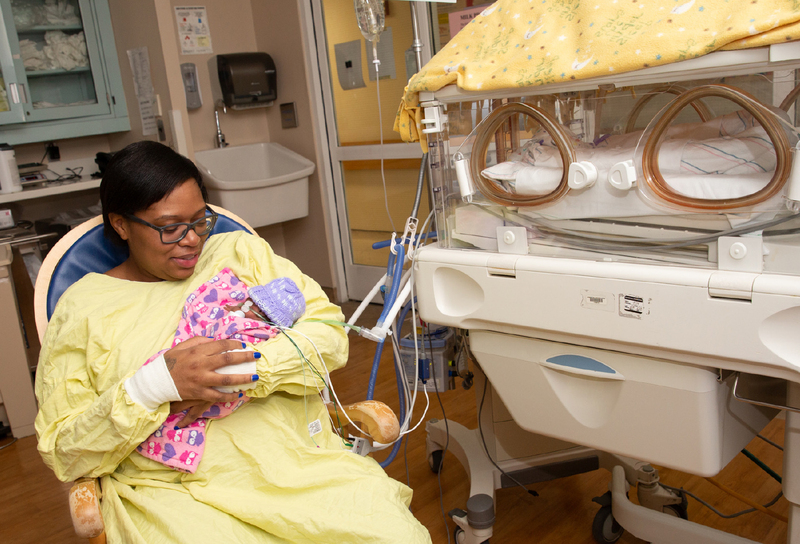 Newark Beth Israel Medical Center (NBI) is a state-designated Level IV Regional Perinatal Center, providing expert intensive care for mothers and infants. At Newark Beth Israel Medical Center (NBI), we understand that childbirth is more than a demanding physical experience—it’s also a celebration of one of life’s most important events. 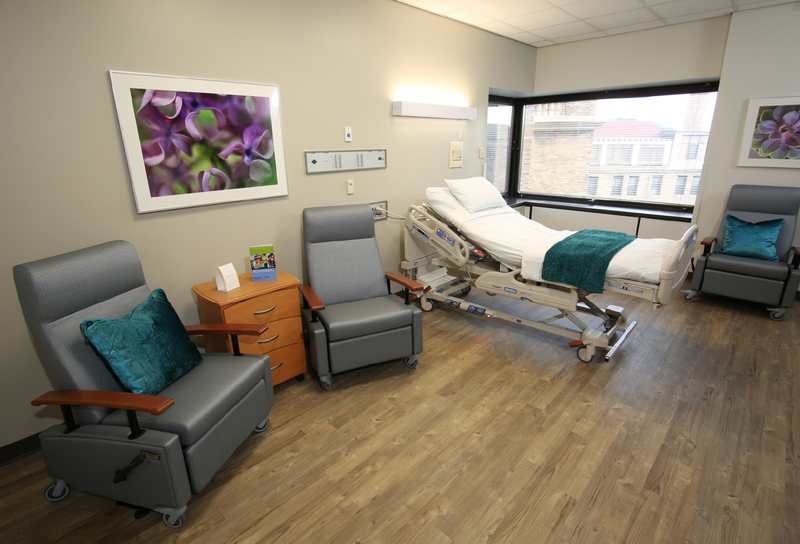 Our new 34-bed labor and delivery unit offers spacious private rooms, birthing rooms with tubs for parents interested in natural childbirth, and a dedicated team of nurses, obstetricians, perinatologists, midwives and anesthesiologists. 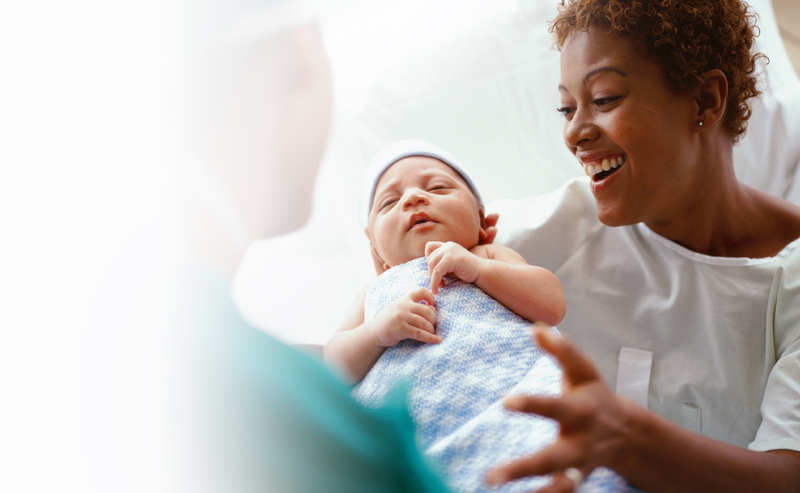 At Newark Beth Israel Medical Center (NBI), we provide expert and compassionate care before delivery, on delivery day, and during your transition to life at home with your new little one. We offer a wide range of programs and services to help you have a healthy and positive experience. Our dedicated medical staff, including a team of obstetricians, perinatologists, midwives and anesthesiologists, is on call 24 hours a day. Preparing for a baby is one of life’s most exciting experiences, and knowing what to expect on delivery day is important. 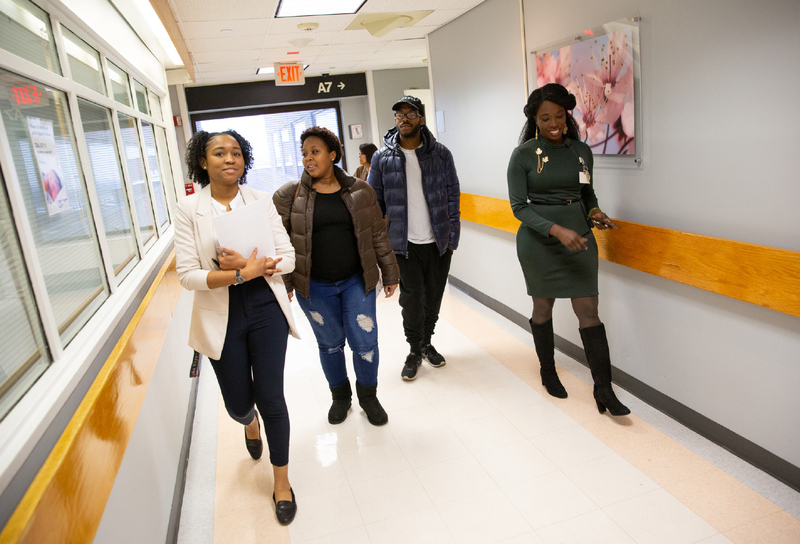 At Newark Beth Israel Medical Center, we offer maternity tours, childbirth and infant-care classes, and help for when you go home with your baby. 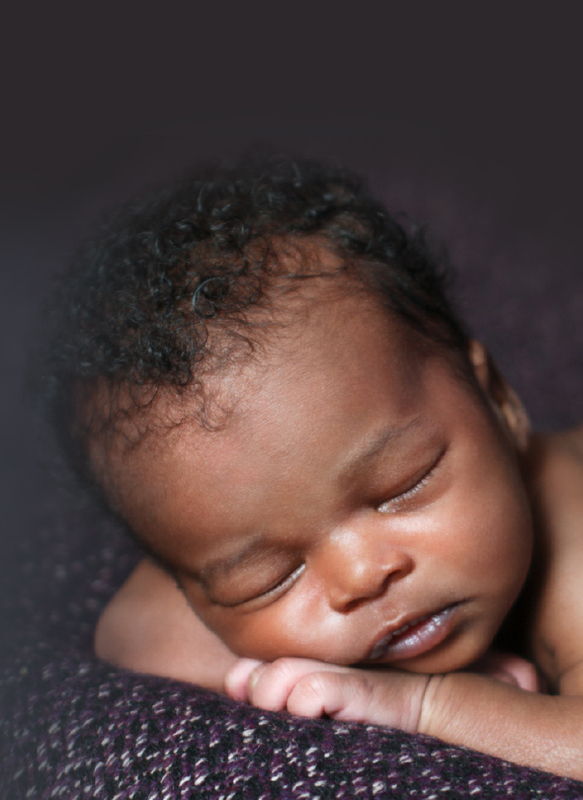 Our patients also benefit from state-of-the art technology, including a Level IV Neonatal Intensive Care Unit. 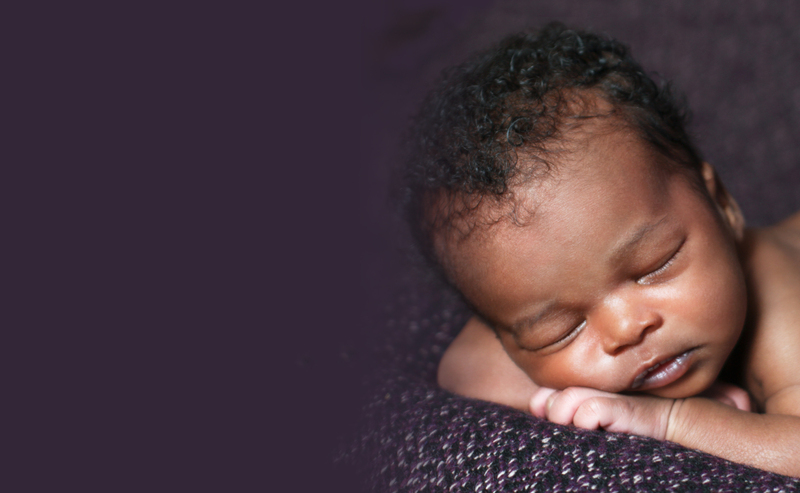 Babies are referred to us by hospitals throughout the region. If needed, families can take advantage of the expert medical care available at the Children’s Hospital of New Jersey at NBI, which offers more than 30 pediatric specialties, including a full-service Children’s Heart Center. Our team includes board-certified neonatologists, specially trained nurse practitioners and neonatal nurses, therapists, social workers and technologists. 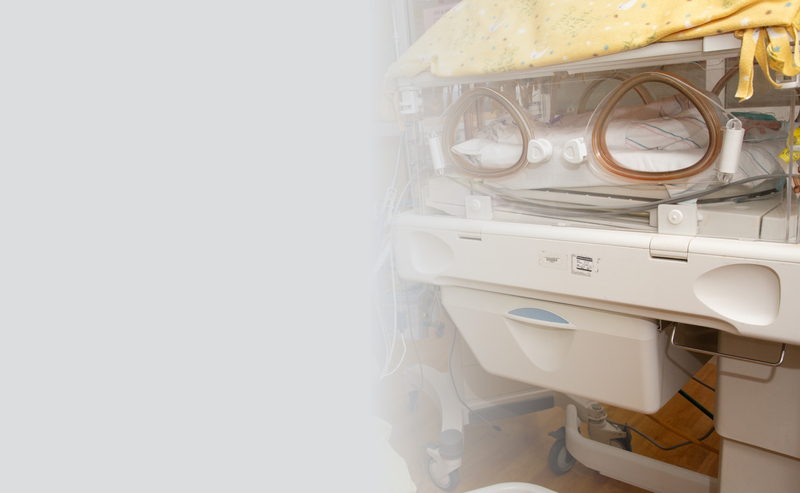 We also offer New Jersey’s only Extracorporeal Membrane Oxygenation (ECMO) therapy for infants in severe respiratory distress. What does all this expertise and technology add up to? Saved lives and supported, empowered families. Where you get your healthcare matters. At Newark Beth Israel Medical Center and Children’s Hospital of New Jersey, we partner with other local organizations and residents to create healthier communities. We hope you’ve found this information useful. 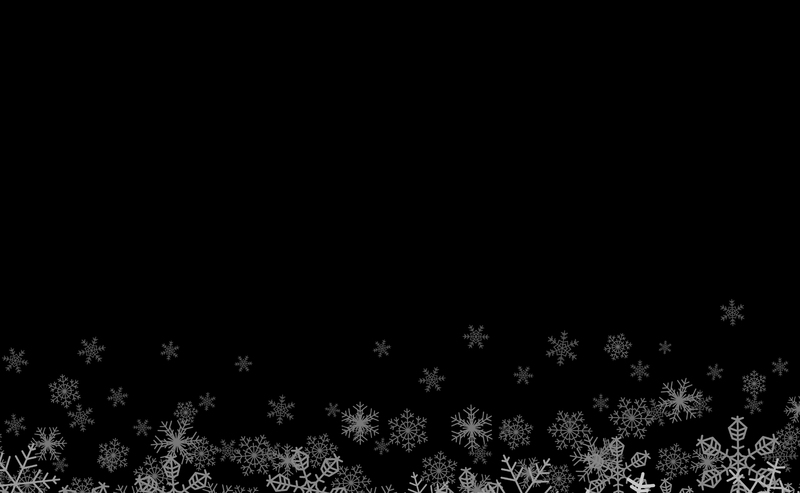 Be part of our better health movement by using the links below to share this interactive digest with friends and family.